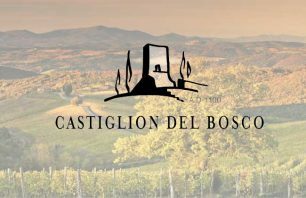 Castiglion del Bosco, a founding member of the Consorzio del Vino Brunello di Montalcino, has launched its first Brunello Riserva under the name Millecento 1100, paying a tribute to the year the fortress safeguarding Montalcino from the attacks of Siena and Florence was built in the Estate. The 7,000-bottle Millecento Riserva production comes from a single 8.5-hectare organically treated, high density plot, planted at 460m above sea level in the spectacular ‘Capanna’ vineyard. Its prolonged maceration is followed by a 36-month maturation in large (30hL) French oak barrels and concrete egg tanks to ensure unparalleled quality and longevity. “The particularity of this single-plot is its dual exposure, south-east and south-west, which adds personality to the wine. We waited for the vineyard to reach optimum quality potential (it was planted in 1998) and released the first Millecento in the spectacular 2010 vintage. Millecento Riserva was launched at a private dinner hosted by Massimo Ferragamo and Cecilia Leoneschi and organised by Harrods at Tartufi & Friends and was recently showcased at the Italy Decanter Fine Wine Encounter at The Landmark on Saturday 4th June. Contact Effi Tsournava should you require further information.